As I began thinking of this topic, I knew I had to ask Linda. To me, she is a quiet warrior. She loves her husband and family well. There are things she faces that often times, heaven is the only one to hear of it. One Sunday, I was able to sit next to her during worship, and I opened my eyes, I can’t remember why, but I’m glad I did. I saw Linda with her hands raised. She was worshipping with her whole heart. She probably hates that I’m writing this, but time and time again, I have been challenged by her faith. I have also been lifted back up through her encouragement. This post was a challenge for her. After reading it, I know you will understand why. However, I could not hold back the tears after I read it. We serve an amazing God, and He truly is worthy of every breath we are given. Thank you, Linda, for being an amazing sister, friend, and encourager. I don’t want to remember. I don’t want to look back. It still hurts, the tears might come back. I remember that night. Everything was quiet and dark: a few footsteps in the hall and sleep nowhere to be found. I had asked the nurse earlier what all the numbers meant. I needed to know which ones were important and which ones were not. 93. Her coloring was good. She finally calmed down. 92. She looks so peaceful. When is that tech coming back? 91. Has it been 4 hours yet? Wonder what they can give her next. 90. That nurse told me she would check on her. Where is she? 89. Do I dare leave and get the nurse? What if she needs me? I left and got the nurse. They came and gave my baby some oxygen to get her levels back up to a safe range. They never reached 100 but at least she was getting what she needed. The next 2 years were spent with daily breathing treatments, ER visits, and weekly doctors’ appointments. Some days I lived in 4-hour windows. Treatment to treatment, praying she would make it and not need to go to the ER. I blamed myself. Maybe I ate wrong, maybe my house was too dirty, maybe there was more I could do. I feared losing her. I feared that it would be my fault. During those times, I cried out to God. My hands were in fists, ready to fight the next asthma attack. But over time, I learned you can’t get oxygen into your lungs when you panic and hyperventilate. I also learned you can’t accept God’s gifts with clenched hands. I learned to let go. I let my heart tearfully worship that we had another round of medicine available to us even when healing didn’t come. I learned to enjoy THIS one and only day because tomorrow was never promised. When the dark nights came and my daughter would be fearful, we memorized “For God has not given us a spirit of fear, but of power (Make a muscle), love (cross your arms over your chest) and a sound mind (point to your head)” 2 Timothy 1:7 I had to take this to heart as well because so many days I was crumbling inside. My faith in God grew stronger in this season. I came to realize God loves my little girl so much more than I can fathom. He has numbered her days. My job is to care for her until His plans take her elsewhere. Peace came in trusting Him. I got my husband and he headed off to find a pharmacy. I did something I had never done before. I crawled into bed with my daughter and opened my Bible. The only thing I could remember was Psalm 139. Instead of reading it normally, I added my daughter’s name. I told her these were written for her. “Oh Lord, you have searched Abi and know Abi. You know when she is sitting and rising up. 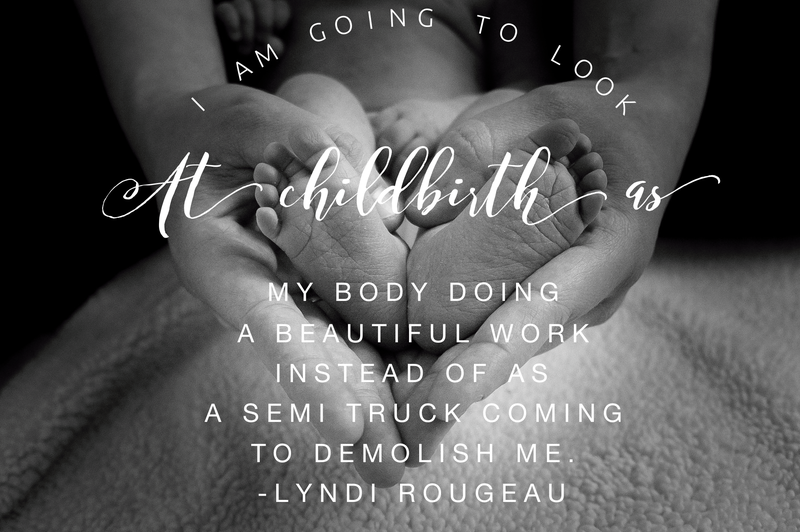 (1)… You formed Abi’s inward parts: you covered her in Mommy’s womb. I will praise you, for Abi is fearfully and wonderfully made (13)…” We read it all. I held on to those words like I never had before. They were words of life, truth, and hope. We had just finished the passage when my husband walked in. He was back so soon, I thought it was bad news. Instead, he held out his hands, and in them was a brand new machine! Unlike the USA, with insurance, regulations, prescriptions, in this country, you could walk to the pharmacy and buy a new machine no questions asked! God’s provision blew me away. My fear of losing her and “what if?” still pops up. 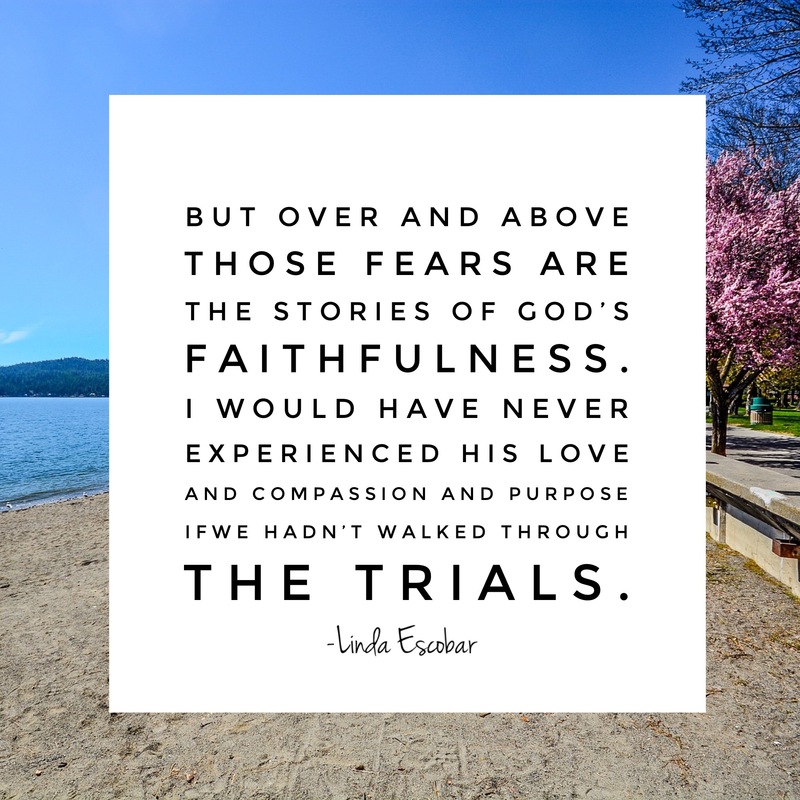 But over and above those fears are the stories of God’s faithfulness. I would have never experienced His love and compassion and purpose if we hadn’t walked through the trials. I struggled to walk back to this season. I didn’t want to bring up those old fears but it reminded me of His steady hand through all of it and His eyes who see what lies ahead. 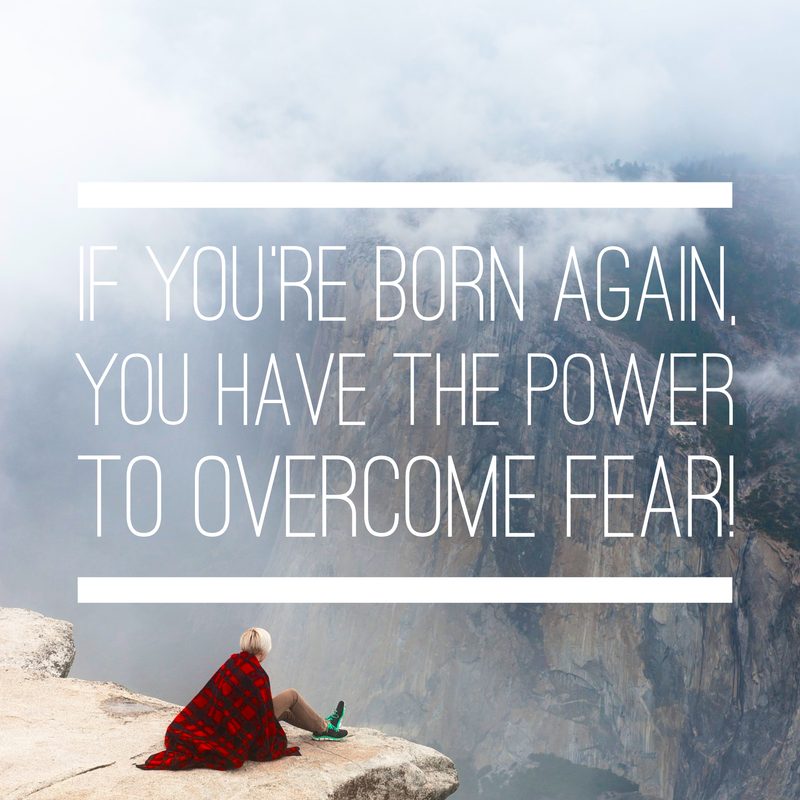 For the month of June, I decided to launch a series called Fighting Fear. Each week you will hear a testimony from one of my friends. Today, you will hear from Paula Denny. I have known Paula as long as I can remember. We were both Pastor’s kids. I believe I was Paula’s Awana Leader when she was a Spark. We didn’t talk much as we got older. However, our friendship has changed drastically over the past year. Paula and her husband have walked through some painful experiences. I never knew how painful experiences can morph two people who would not necessarily be close friends into dear sisters. We have had some very real and honest talks about each other, ministry, and life. It is truly a privilege to have Paula share today! I cannot think of the exact moment or ways in which I recognized and faced my greatest fear, I do know that the process began in the summer of 2014. 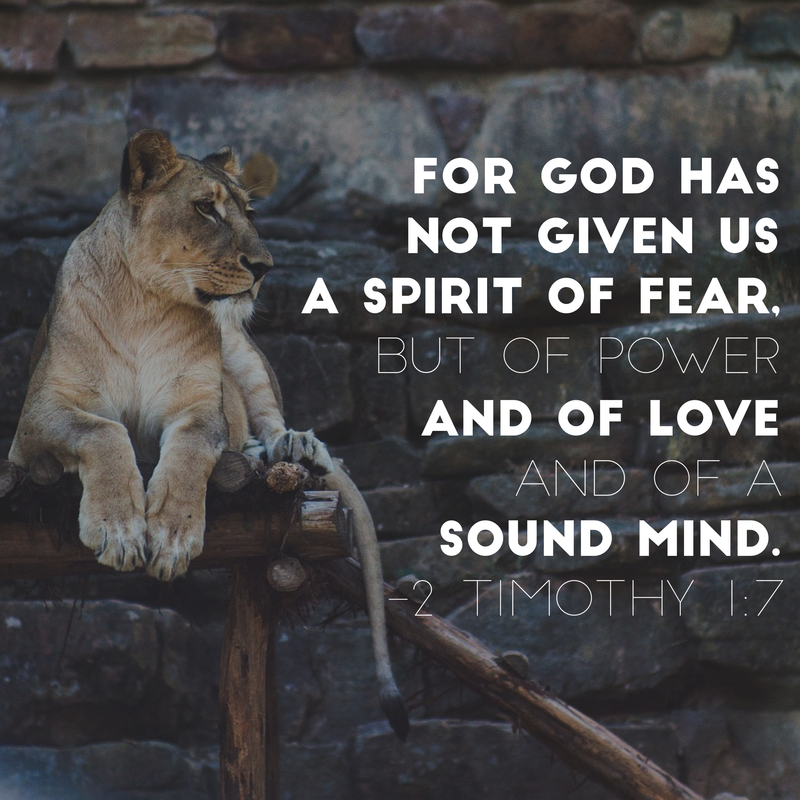 I was working for a mission camp, and during that time, I learned so much about myself and faced many fears, however, one stands out. My greatest fear was allowing the Lord to expose himself through my flaws. The verse above was presented to me by a camp leader and it hit my soul like a ton of bricks. We are simply clay pots, we as Christians, are plain vessels, filled with something so much greater than ourselves, but in order for what’s on the inside to be exposed, it must have a passageway. I already knew that the Lord wanted to expose himself through me, and honestly, I believed that he already was. I never understood the level of vulnerability that was necessary in order for him to be truly seen from within me. 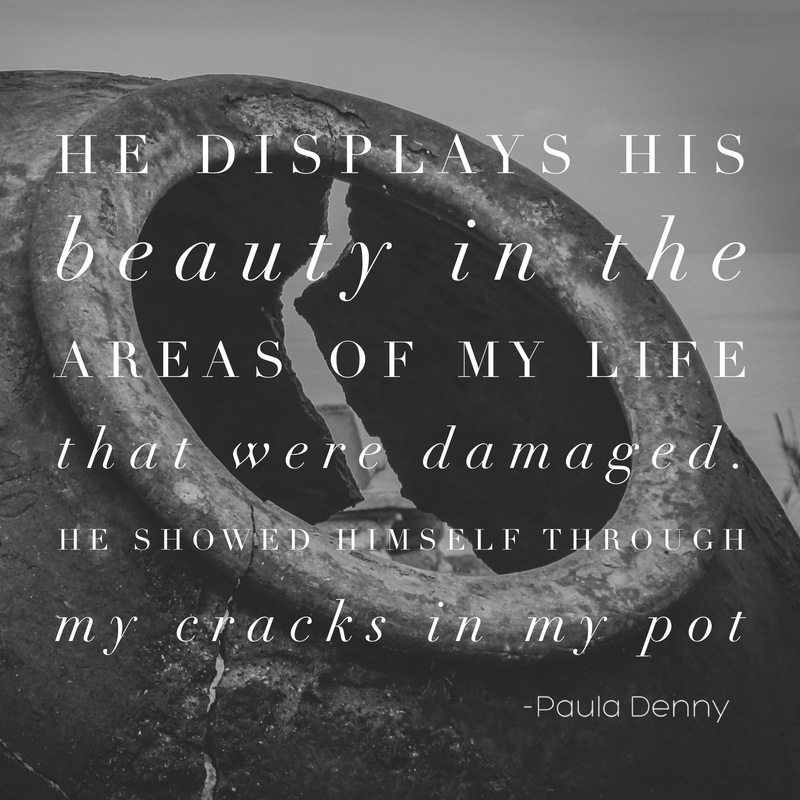 I was afraid to let the Lord shined through my cracked pot because my cracks were my imperfections–Imperfections that we all have. Every crack in my pot represented sin, sorrow, shame, fear, or anything imperfect that had been or was currently a part of me. With each strike of imperfection, came a crack to my clay pot. The flaws that covered who I am show: my shortcomings, my failures, my sorrow, and my shame. I spent so much time trying to distract from my flaws, why would I want to bring attention to them? I spent so much time and effort shielding my cracks, because I did not want others to know of their existence, much less put them on display. This verse kept coming up throughout the course of the summer and it continued to burden my heart on a daily basis. I was afraid, that in showing my blemishes, I would distract from the beauty of God within me. I was afraid that my cracks and scratches would be far too ugly for others to see. I was afraid to surrender my current and past shame and sorrow to the Lord allowing him to do whatever he wanted with them. I wanted my pot to look put together, I put so much effort into making my pot look as though it had no cracks. In doing this, I was hindering myself from being used by God, because in our weaknesses, he glorifies himself in a mighty way, if we will only share with him our greatest shames and most sorrowful failures, he will use them and take something so disgraceful in our eyes to be transformed into something adorned with beauty and grace. Little by little, I began to share my deepest failures, the ugliest parts of my inmost being. I began to recognize their existence and shared them with the Lord, though he already knew they were there. I became more vulnerable with fellow believers. Allowing myself, and everyone around me to see my clay pot for what it truly was. All of my flaws were no longer hidden, I was free from the burden of hopelessly covering and hiding my cracks without an end in sight. In finally releasing this fear to the Lord, something beautiful happened. The Father took all of my cracks and scratches. He took the sin, sorrow, hurt, and shame, that I had been hiding and he used it. He used it to show himself through my shortcomings. He displayed his beauty in areas and situations in my life that were damaged. He showed himself to others through the cracks in my pot. He brought me comfort and healing through the holy treasure of his grace. He made my soul feel refreshed and beautiful among his eyes. Within the cracks of my clay pot, his light shined, so that he was seen. The attention was brought to him, not to my shortcomings, as I had feared it would. No one was focused on my cracks, but rather, they were made witness to the glory of God that was shining through the broken pieces of my simple clay pot. In surrendering this deep fear of my soul, I experienced joy and relief, so precious to my inmost being. Remember: There is beauty in broken and flawed vessels. There is beauty because Christ shines through. When we are “whole” no one sees the Light. When we share our brokenness it gives other hope to continue on. I was afraid to let the Lord shined through my cracked pot because my cracks were my imperfections–Imperfections that we all have. Every crack in my pot represented sin, sorrow, shame, fear, or anything imperfect that had been or was currently a part of me. With each strike of imperfection, came a crack to my clay pot. The flaws that covered who I am, show my shortcomings, my failures, my sorrow, and my shame. I spent so much time trying to distract from my flaws, why would I want to bring attention to them? I spent so much time and effort shielding my cracks, because I did not want others to know of their existence, much less put them on display.